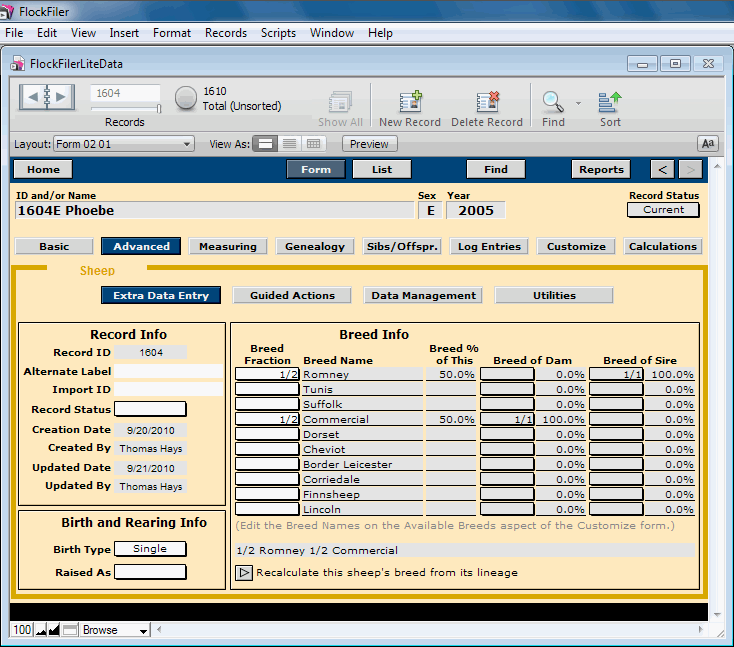 Advanced Form – Data Entry. Less frequently needed information is entered on this form. The Breed info is normally calculated from the sire and dam's breed, but the eldest sheep need their breeds specified directly here.